The people who live in Colfax are nuts, just nuts, about their high school sports teams. They have good reason for their insanity, because Colfax High is a sports powerhouse. The town itself is not very big, a population of about 2000, but what the good folks lack in numbers, they make up for in loyalty to their Green and White Falcons. Colfax marks the eastern border of our Golden Hills territory. Though the town center is just a few streets (visualize Mayberry, RFD), the Colfax area is quite large and includes forests, farms, and canyon lands. It sits between the Bear River on the north and the American River on the south, the north fork of the American River to be precise. Colfax is also a railroad town. There’s a quaint, beautifully restored station right in the middle of town where you can catch The California Zephyr all the way to . . . well, all the way to Chicago if you want. Mostly I want to go to Reno. Here’s a really fun thing to do. Drive to Colfax and park. 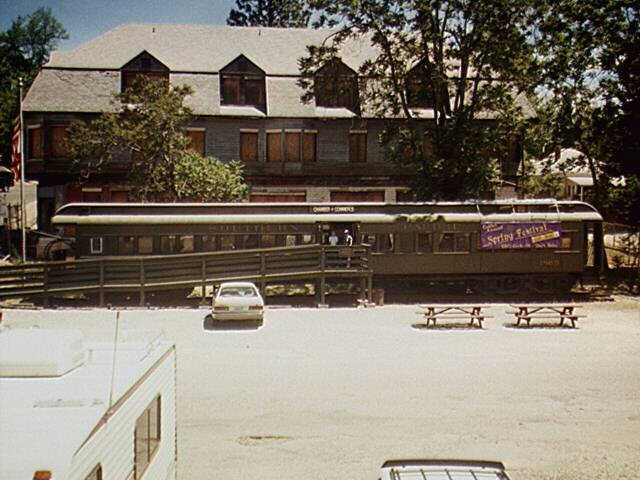 Catch the train, the SLOW train, that winds up into the Sierras, chugs across Donner Pass (yep, the same place where they ate each other), and drops down through Truckee, skirts Lake Tahoe, and rumbles into Reno. Catch a show at the Convention Center (we saw Reba and Keith Urban recently), stay cheap at Silver Legacy, gamble a bit (if you like that sort of thing), and then catch the train back to Colfax. Is that cool, or what? There are great real estate bargains to be had in the Colfax area. The trick is to find your place on the other side of the first ridge. You see, Interstate 80 also goes through Colfax, right along side of the train. So, you need to put a ridge between you and the freeway noise and exhaust. Don’t worry. There are plenty of properties across the ridges on both sides of the freeway. The other good news is that there are several freeway entrances, and you can be on your way uphill east toward Tahoe and the snow, or downhill west toward Sacramento and the amenities of the big city: restaurants, entertainment, medical facilities, Costco, Home Depot, traffic, gridlock, pollution, too many people, noise, crime, gangs, graffiti and . . . oh, I forgot . . . you want to live up here to get away from all that stuff. You want quietude, fresh air, elbow room, a place to plant a big garden, locally grown food, a sense of community, and to go to a bar where everybody knows your name.